On the 13th February 2017 we got an early bus to Brisbane. When we arrived at our hostel (Base Uptown), we couldn’t check in until 2pm so put our bags in storage and had a walk across the river. 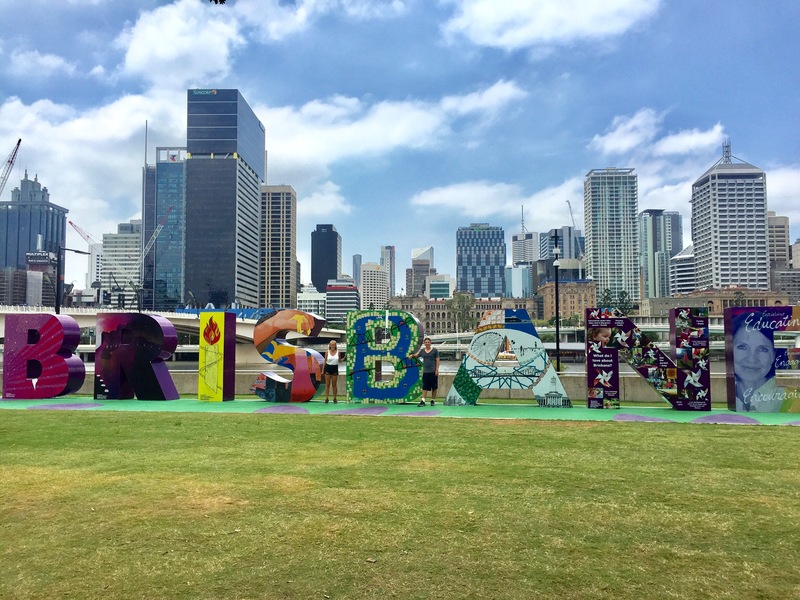 We walked through the galleries and museums that line the river to the Brisbane Sign. The sign is really big and has a great view of the city skyline across the river behind it. We did what any tourist would do and got a picture with it. 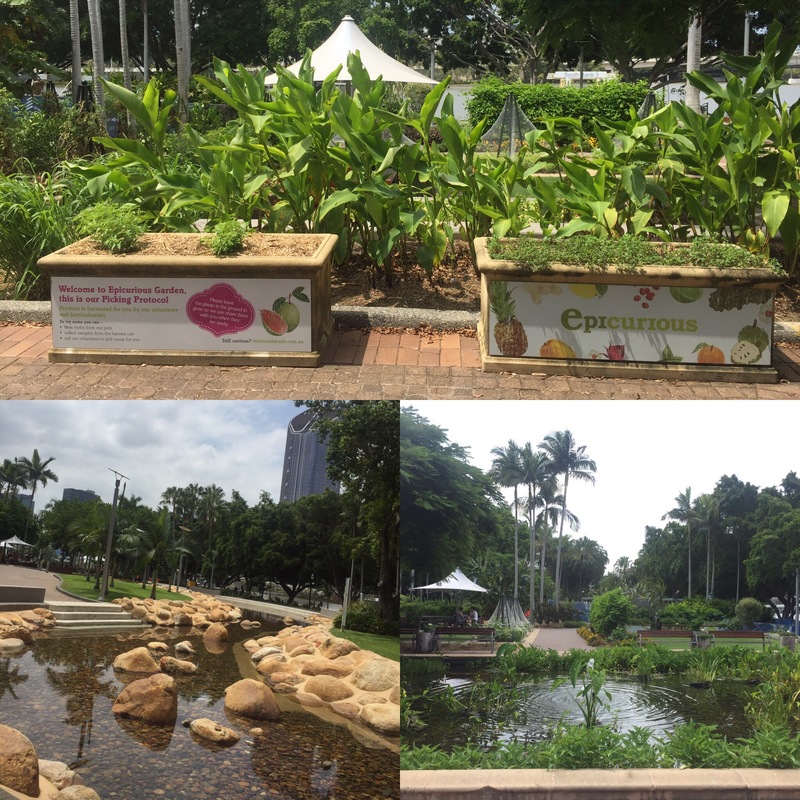 From the sign you entered Southbank Parklands which is a beautiful part of Brisbane that runs along the river covered in gardens and areas to relax. 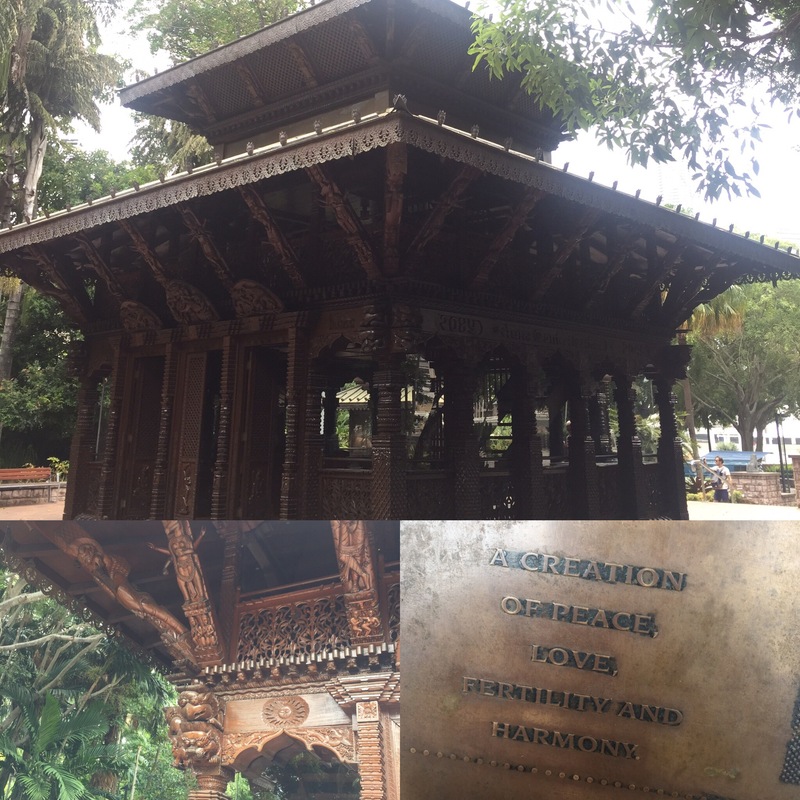 There is a pagoda there from Nepal which is really pretty, covered in intricate carvings and I think it’s there because of some sort of relationship or partnership with Nepal, but I may be wrong about that. Further along from this are a small tropical garden which then leads to large open spaces and a growing garden where loads of herbs are grown and you can ask the volunteer to cut you some which I thinks a really cool idea! 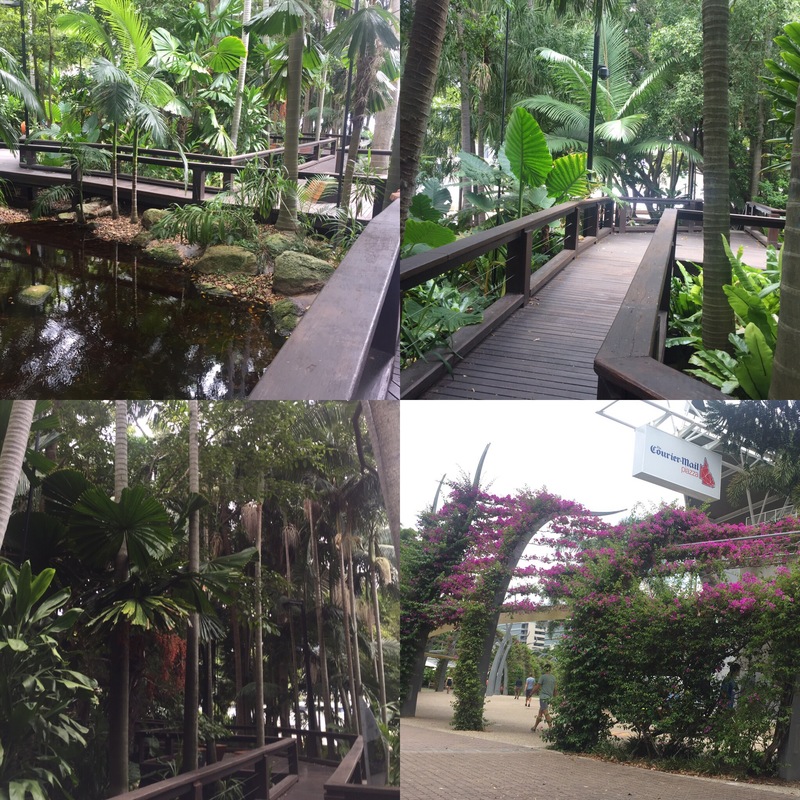 These gardens led us to the lagoon which is a pool and a man made beach called Streets Beach on the edge of the river. This was really nice and had a lot of people swimming and sunbathing here. 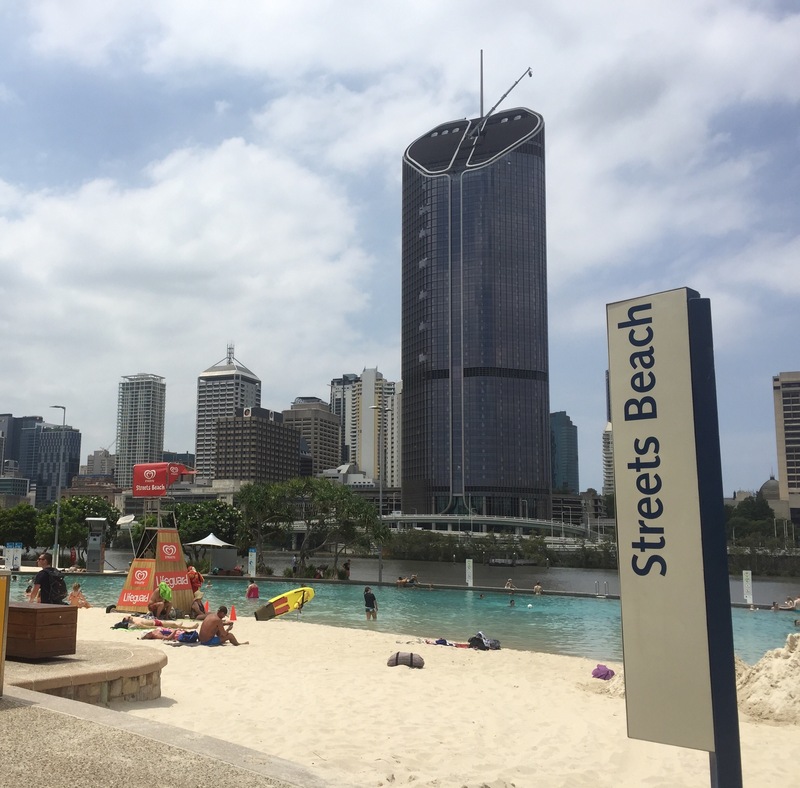 It’s such a good idea when you don’t have a beach near by (which Brisbane doesn’t) but still get great weather, not to mention being able to look out onto a great city skyline. 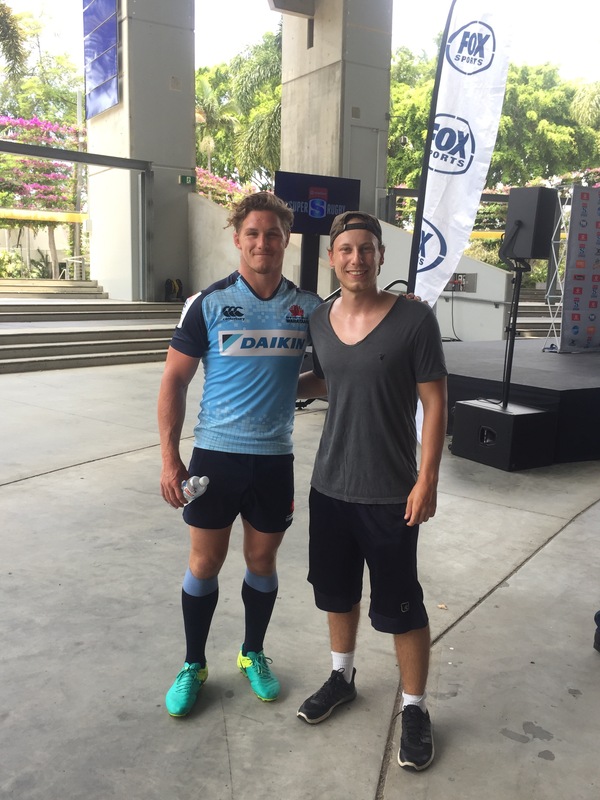 We accidentally walked into a Super Rugby press release that was about to end and Niall recognised the player Michael Hooper who is Australia’s vice-captain (I obviously didn’t have a clue who he was) and so he asked if he could get a picture with him. As you can imagine this was a highlight of Niall’s time in Brisbane and it turned out that all the players there were the captains of the Australian Super Rugby teams which is cool considering we just stumbled across them all. We went into town for some lunch and a look around and then headed back to our hostel to check in. We chilled in our hostel and got to know some of the people in our room when a huge storm started. It torrentially rained so we decided not to venture back out of the hostel. Luckily the girls in our room, Niamh, Talia and Liv were all a laugh and we all just got to know each other and relaxed until the weather died down. The only time we had to leave the hostel was to go to Coles (the supermarket) to get some food for tea. While we were out we could hear the thunder and see the lightening near by so I was glad we when we were back safely in our hostel. The news the next day showed how severe the storm actually was as there was power outages across the Brisbane area, but we were not affected by it. 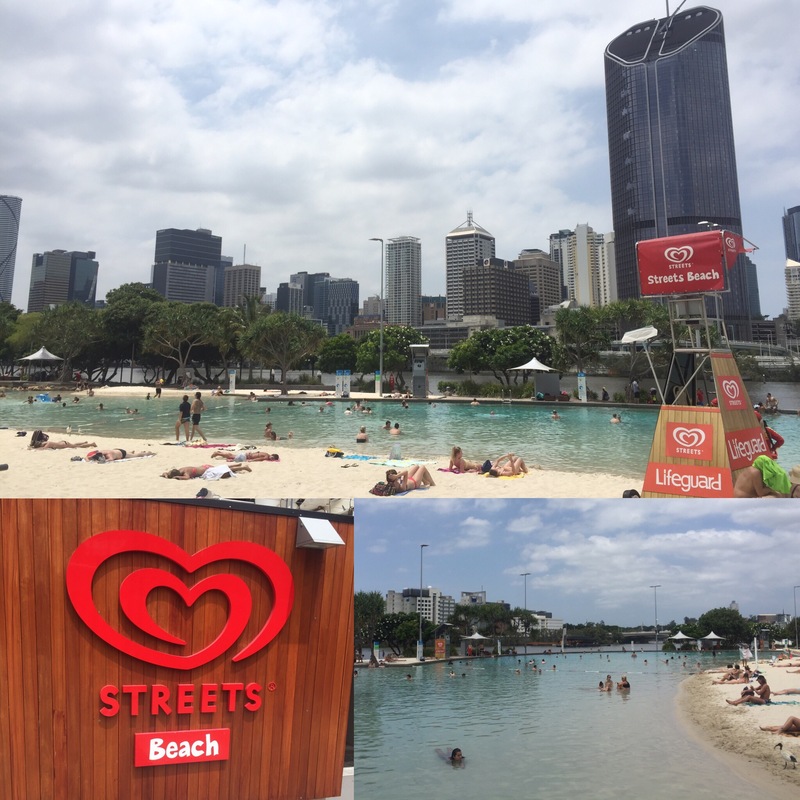 On our final day in Brisbane it was Valentines Day. 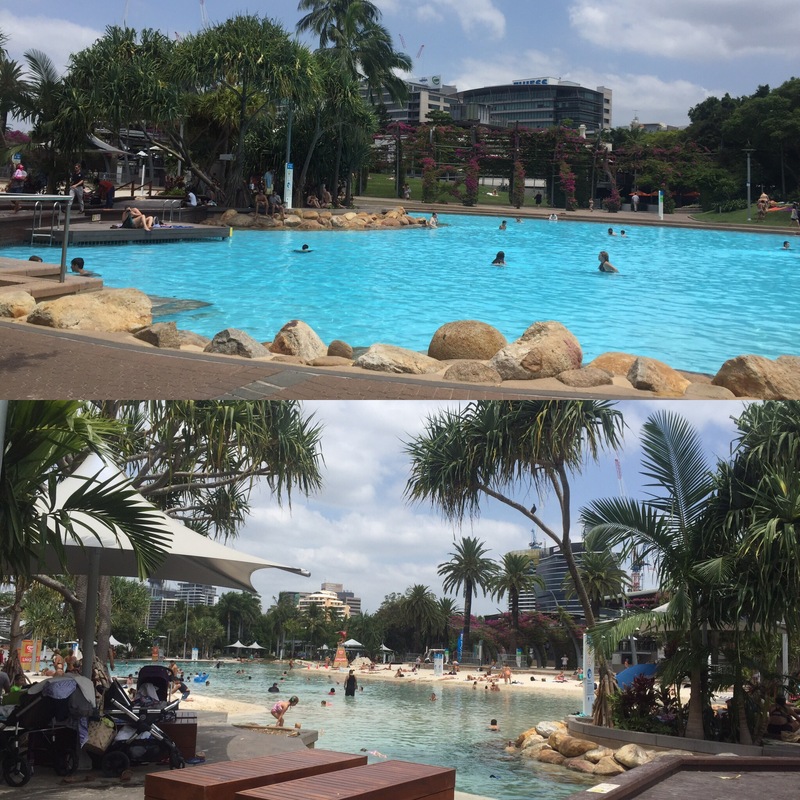 The weather wasn’t great and we were still catching up on sleep from Surfers Paradise so we had a relaxed day. Niall was very tired so we made sure not to have to do too much walking. We went to the botanical gardens by the river which were pretty (I love parks where you can see the city skyscrapers in the background) and then found a nice spot to sit overlooking the river and sail boats docked out there. 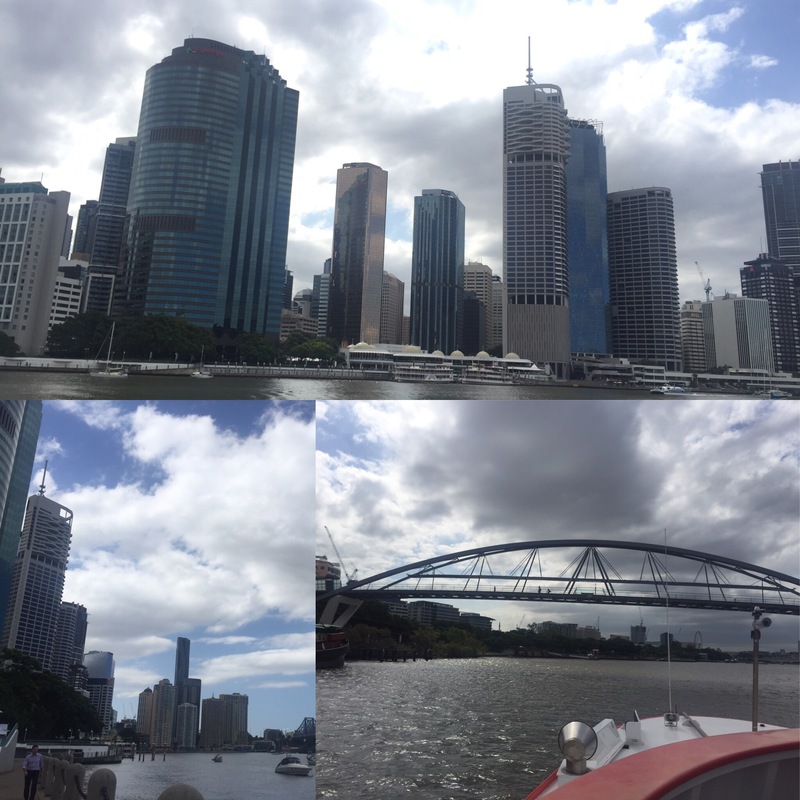 Brisbane has a free ferry service along the river which is cool because it would stop everywhere you would want to go as a tourist and lets you see the city from the river so we decided to catch it back to near our hostel. 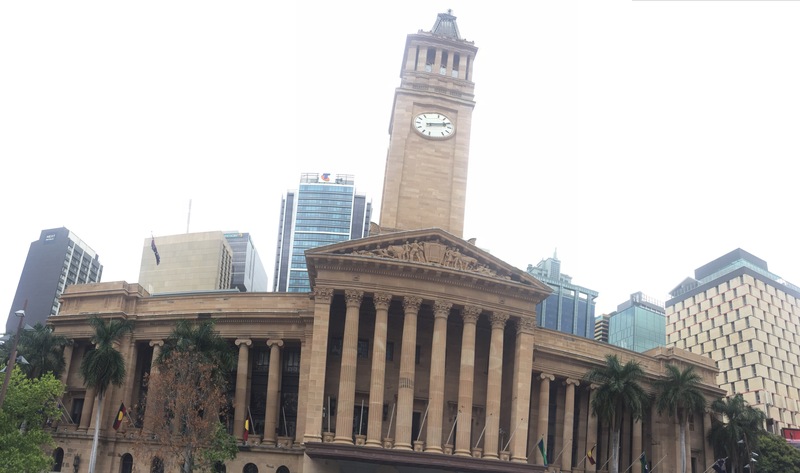 We caught the ferry from Eagle Pier to North Head then walked through town, passed City Hall and back to our hostel. That night, Niall was very tired so went to bed for an early night whilst I went on a night out with the girls from our room. 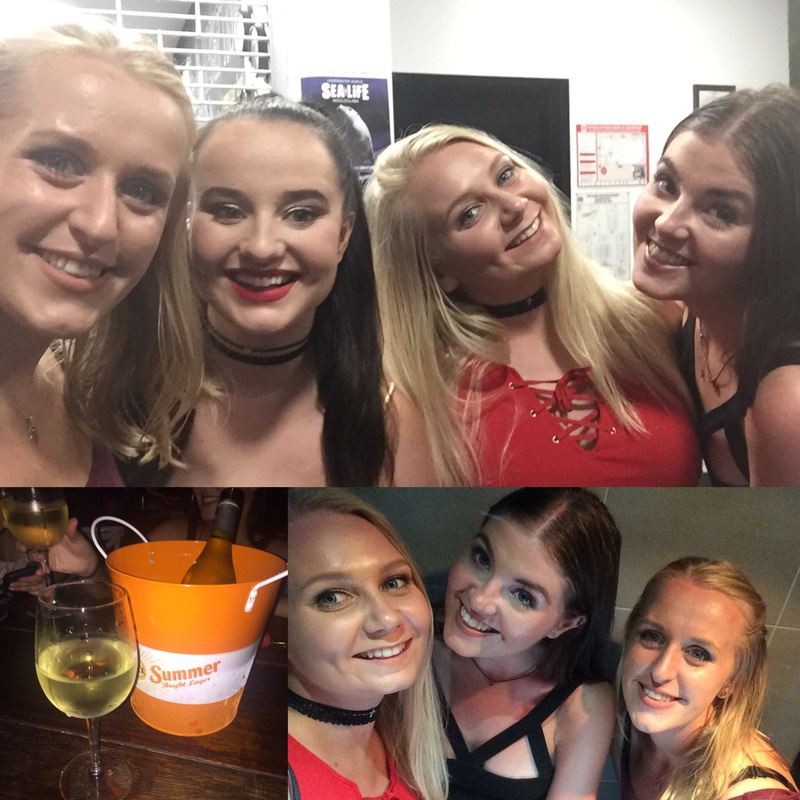 We went to a place called Down Under which wasn’t bad but it was a fun night all the same. 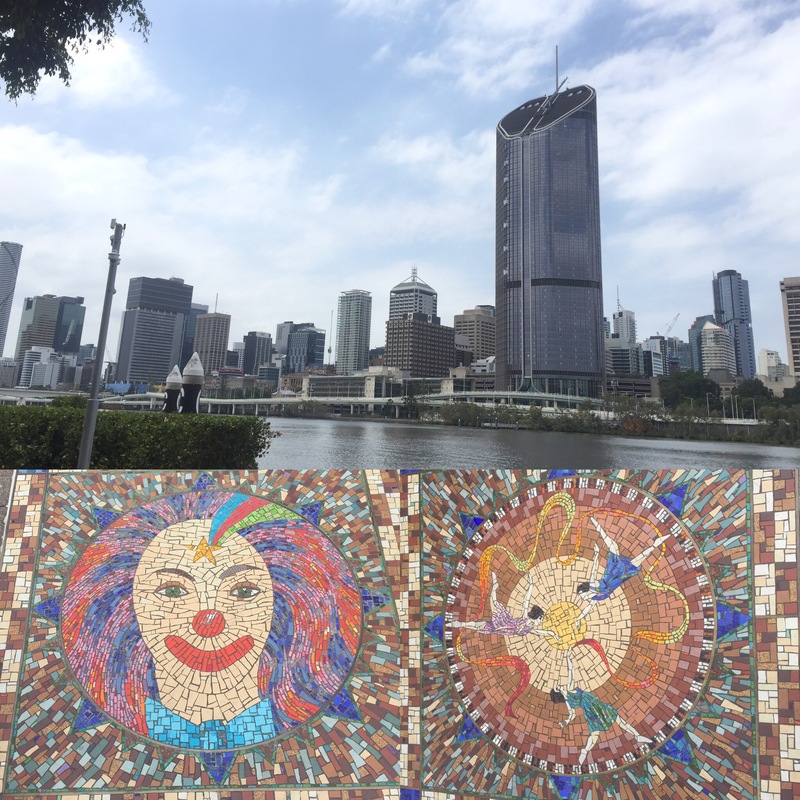 We liked Brisbane a lot. 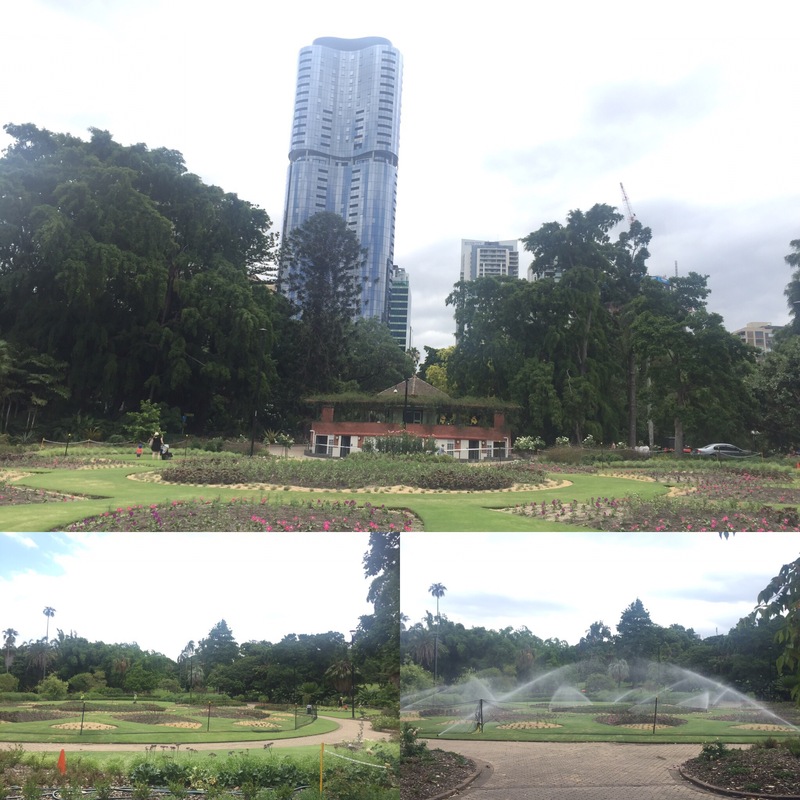 It is quite peaceful and chilled with some lovely parks and things to do. We may be coming back to Brisbane to work as there are a lot of festivals on from August to November but we haven’t made any final decisions yet. It is definitely somewhere I would like to come back to explore a bit more though if we get the chance.